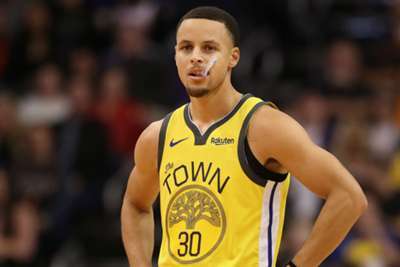 The Golden State Warriors will be without guard Stephen Curry for their match against the Dallas Mavericks on Saturday. The NBA's official injury report cites "rest" as the reason Curry plans to sit out on the front end of a back-to-back. Andrew Bogut and Shaun Livingston will join the 31-year-old on the bench for rest purposes as well. Curry has not missed a game since December 1 when a groin injury forced him to miss 11 straight contests, meaning he has played 48 consecutive matches since then. The six-time All-Star has averaged 27.8 points through 60 games with 5.3 rebounds and 5.3 assists, while shooting 47.1 percent from the field. The Warriors enter the home game against Dallas with a 49-22 record, tied with the Denver Nuggets atop the Western Conference standings. The Mavericks, on the other hand, are sitting 14th with a 28-44 record. Curry will be expected back when the Warriors play host to the Detroit Pistons (37-34) on Sunday. The Pistons sit sixth in the Eastern Conference and, prior to facing the Warriors, are on the road against the Portland Trail Blazers on Saturday. 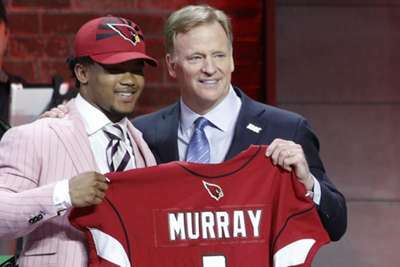 Kyler Murray went first overall as expected, while the New York Giants sprung a surprise in the opening round of the NFL Draft.